Andre Toulon is fleeing Europe and hiding in a hotel inn. He starts telling a story that reverts back to when he was a young man performing puppet shows for a living. 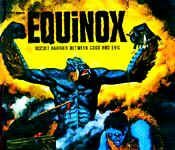 After one of his puppet shows he meets a wizard from Egypt, who is being hunted by Sutekh’s henchmen, which will undoubtedly changes his life forever. The wizard and Toulon team up to battle the evil forces by bringing Toulon’s puppets to life. 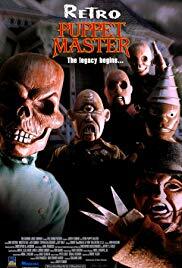 The seventh film of the Puppet Master series, Retro is chronologically first of every current Puppet Master film made. The puppets themselves are a classical wooden style puppet not seen in any of the previous films but they bring back some of the stars like Blade, Pinhead and Drill Sergeant. One puppet I’m particularly fond of Doctor Death, is a new entry to the series. Retro provides a storyline that fits well to everything that comes afterwards but the story sometimes messes up some of the facts that were stated in the initial trilogy. Greg Sestero, played the young Andre Toulon, having a really quiet accent, making it hard to hear his dialogue at times. Although, the acting was utterly atrocious and didn’t really spark my interest too much, I found it watchable because of how short the run time was, since it was to the point and faithful.